Healthy to me comes from a holistic view. As a Holistic Nutritionist I practice “healthy” in the views of the mind, the body and the spirit. In simpler terms it’s relative to movement of the body, what you eat and how you nourish your mind. What makes your chocolates different from regular chocolate we find on the supermarket shelf? Oh I’m so glad you asked 🙂 I love to share this. A few little things, we use truly raw cacao that is heat tested to not rise above 45 degrees, we also don’t raise any of our chocolate above this temperature. What does that mean? All nutrients are in tact and not denatured by the heat. We infuse each bar with healing ingredients and tonics. Coconut oil and cacao are both incredible delivery systems. So it’s important to team them with incredible ingredients and not emulsifiers, milk solids and sugar. The majority of our bars are sugar free too, sweetened with a fermented sugar that is easily digested and great for healing the gut. So anyone with diabetes, candida or insulin spiking concerns can still consume raw love chocolate. We also are very mindful of mother earth in all of this and package all our chocolates in compostable and recyclable packaging printed with vegetable inks. How does everything you’ve learnt as a nutritionist translate into your everyday life? I treat every meal as food as medicine and also a chance for me to vote for what I want more in the world like, organics, plant based eating, non GMO, fair trade etc. We are so blessed to have such incredible nourishing Wholefoods around us. 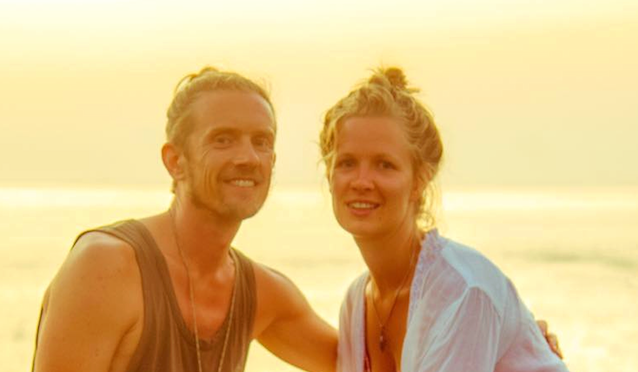 My partner Scott and I are also conscious on the prana (energy) of food and food miles, so we try to nourish ourselves with food from our garden and local farmers markets as much as possible. What advice would you give to someone standing in the chocolate aisle looking to make a healthier choice? Check the ingredients. Choose bars with fewer ingredients, preferably organic and with no nasties such as emulsifiers, preservatives (numbers), milk solids and insulin spiking sugars. ” The Ancient Wisdom of the Chinese Tonic Herbs ” – Chinese herbs really fascinate me, hence our inclusion of reishi, chaga and luo han guo in our chocolates. Turmeric. Funny we haven’t used this ingredient in a flavour yet. We have fresh turmeric every morning in our ritual chai. I believe a lot of sickness is due to inflammation in the body and turmeric is an incredible anti inflammatory. Make sure you mix it with black pepper and coconut oil though to aid it’s activation and delivery. Our little rag doll cat “Toshi”. 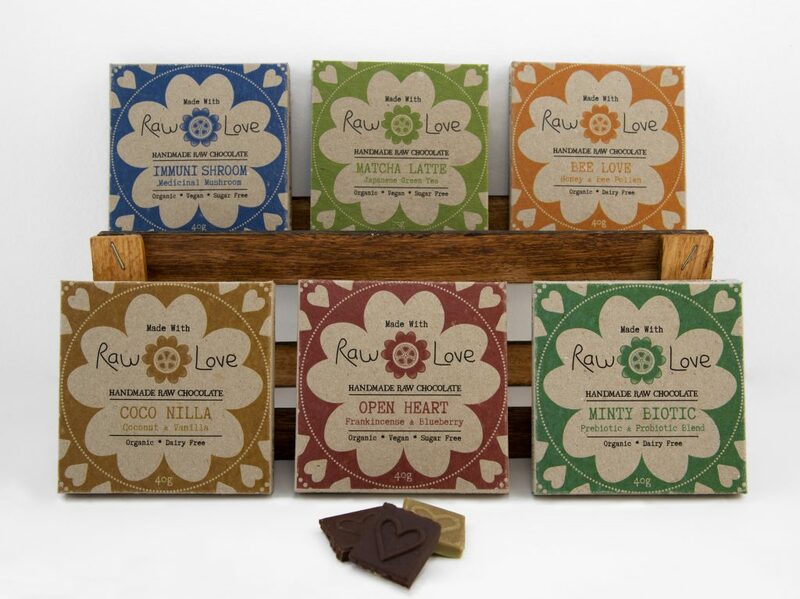 You can find out more about Made With Raw Love over on their website, or come into the clinic and take a bar home with you.